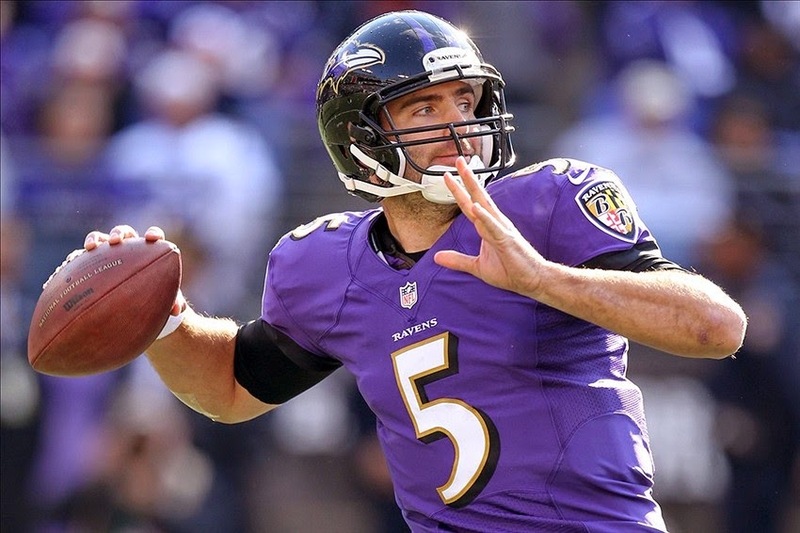 The 2014 season brought about a major changing of the guard in Baltimore, having replaced many key players including Ray Lewis, Ray Rice, Matt Birk, Ed Reed, Dannell Ellerbe, Dennis Pitta and Anquan Boldin, but still producing a winning record and a playoff run. Well, we are expecting a repeat scenario in 2015. The Ravens have lost Torrey Smith, Haloti Ngata, Bernard Pierce, Darian Stewart, and Owen Daniels, but are still primed for a solid season and a playoff run. Key losses: QB Tyron Taylor, RB Bernard Pierce, WR Torrey Smith, TE Owen Daniels, C Gino Gradkowski, NT Haloti Ngata, DE/OLB Pernell McPhee, CB Antoine Cason, S Darian Stewart, S Jeromy Miles, KR Jacoby Jones. The Ravens offense was as strong as ever in 2014. The running game was lead by journeyman back Justin Forsett and the passing game had play makers in Smith, Daniels, and Smith. However, Torrey Smith is now with San Francisco and Owen Daniels is now in Denver, which makes Joe Flacco's life a little tougher. Ozzie Newsome did some nice work in the draft, replacing the skill positions with WR Breshad Perriman and TE Maxx Williams. There will likely be a learning curve, but we see some solid numbers from the Ravens offense. The Ravens defense was solid in 2014, ranking 8th in yards allowed and 6th in points given up. The unit is lead by veteran Terrell Suggs and 2nd year star C.J. Mosley, and should be formidable once again in 2015. The offenses on Baltimore's schedule are good and bad. Their important tough AFC games are against Denver, Pittsburgh x2, Kansas City, Miami, San Diego, and Cincinnati, while the weak offenses scheduled are Cleveland, St. Louis, Oakland and Jacksonville. Overall, we expect another strong year from the Ravens D.